This post is not for the faint-hearted. A man named Jesse Newton has a Roomba. He also has a dog named Evie. For apparently the first time ever, Evie pooped in the living room. At 1:30 AM, the Roomba started its house-wide cleaning cycle. You can see where this is going: not only did the Roomba spray poop everywhere by virtual of its rotating brushes, but it dragged it all over the apartment during its not-so-cleaning run. 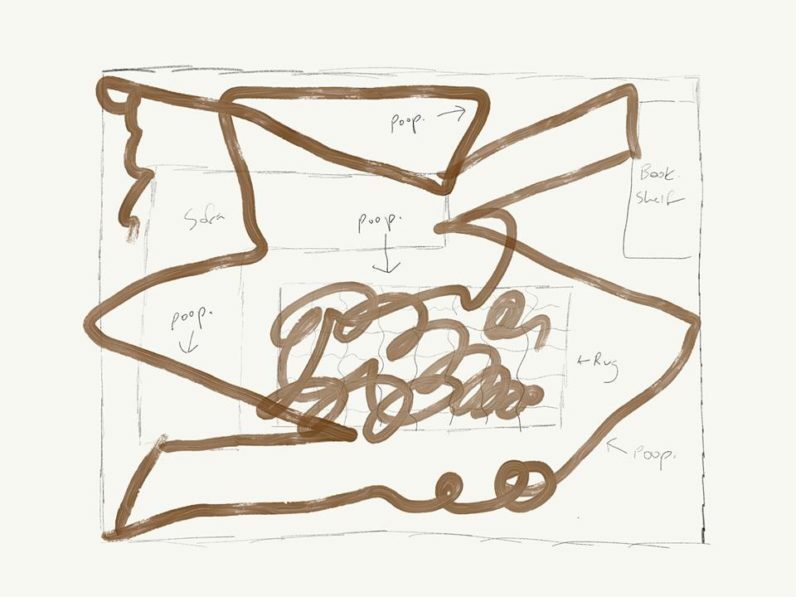 The $400 Roomba was dead after Newton threw it in the bathtub to soak it, and there was poop all over the insides, but he tried to fix it anyway. Thankfully, there’s a little bit of light at the end of the tunnel though: Hammacher Schlemmer – a catalog business where Jesse bought his Roomba from – offered to replace it for free. After an experience like that though, I’m not sure I’d have the heart to touch a vacuum cleaner ever again. Read next: 'No Man's Sky' is now available for PC. Can they take it back?